A Youtuber by the name of “Sage Wanderer” has an amazing and shocking story to tell! About 10 years ago he met a woman who used to be an MK-Ultra trainer and she spilled the beans about everything including the end game of the Illuminati! She had escaped from the Illuminati and had come to know Jesus. About a year after she told her story she disappeared and hasn’t been seen again. Either her Illuminati husband found her or she went into hiding. Here’s some of the highlights of the story. This MK Ultra trainer said she was born into the Illuminati and was direct bloodline of Bavarian Illuminati. She went to private schools and at the age of 13 was taken to the catacombs under Rome. She was taken to a round satanic cathedral with an altar and 13 thrones. The 13th throne was reserved for the Devil. The 12th throne was for the current head of the Illuminati. In the 11 other chairs were the dead bodies of the past leaders of the Illuminati! According to this woman, the last human leader of the Illuminati is in power now! When he dies, the Devil will take the 13th throne and then their little party gets started! The current leader was called “The Master”. She was put on the altar and impregnated by the Master. Her resulting son was always very special to the Illuminati because he was the son of the Master. The following year she was married to an older man at the age of 14 in another country. She was trained to be an MK Ultra trainer and did this with her husband for many years. How it worked was that her phone would ring in the middle of the night and a trigger word given. She would then wake up the kids and go to the meeting place usually under white tents where she would teach weapons, martial arts and firearms training. She said they were thousands of MK Ultra controlled soldiers in every country and they would overthrow all governments at the same time and create a one world government. She said this plan had been carefully followed for hundreds of years and it will happen very fast. There will be an event or series of events that create so much chaos most of the police will just stay home! In the chaos you’ll see a force appear all dressed in black and looking very official. They will be driving black SUVs and will say they are now in charge and part of a new government created to deal with the event. The police would either work with them or be quickly eliminated! As I was listening to the story, I realized two things. First this matches up exactly to other MK Ultra stories I’ve heard such as Cathy Obrien and others who said all the training was done in the dead of night. Secondly this force sounds EXACTLY like the “The Colony” TV show. They are called the “Red Hats” in this show and were used as a ruthless police force when the aliens took over. When the aliens initially attacked, most of the cops scattered but eventually these Red Hats showed up and the old cops filtered back in and worked with them to maintain order. They all wore black SWAT gear type uniforms and drove matching black SUVs. The Illuminati always love to put out truth or their dreams in movies and TV shows as most of you know. I believe this testimony is accurate and is indeed the plan of the Illuminati. Only God knows if or when this plan will be attempted and if it will be successful or fail. The Bible is 100% truth so all believers in Jesus know the end of the world is coming – we just don’t know when this happens. Only God knows when the end comes and this is why it’s very important you get out of the occult and all other demonic activities such as interest in “aliens” who are all demons. Aliens aren’t going to save you or bring you free energy as is being told by David Wilcock. Aliens are really demonic beings and they are here to deceive and destroy. That’s why Christians can stop all alien abductions in the name of Jesus! Jesus has the power over all evil! Your only savior is Jesus Christ. If you don’t realize this yet it’s because the demons are winning in your life at this moment. Luckily for you, your story can end the way YOU choose. You can keep denying Jesus or you can accept him today. Watch for my next article – it will be very interesting to all who believe in God. A boy died and was given a vision of these demon aliens and the end of the world! Stay tuned! If you would really look at the bible and read it then you would understand that the bible was written by a man or men to try and control humanity it is better to try and love yourself and people around you then believe I that crap,we ourselves are gods we just don’t realize it yet. The end game of illuminati is in prison if they are lucky bible is all about aliens listen or read from Biglino Mauro bible translator who worked for ufficial bible translation for Vatican and just left it to tell the truth. You should read “The First Council of Nicaea” for a little history about the Bible. This is actually the Cabal & illuminati plan to implement their NWO. They will be no be successful but this is how they have been planning to implement it all along. The Abrahamic religions are outgrowths of ancient astrological worship. The ancient Jews worshipped Saturn, hence Saturdays (Saturn day) is their day of worship. The ancient pagans that became Christians worshipped the sun, hence Sundays being their day or worship. Christmas was originally celebrated on the winter solstice until a Catholic pope moved the day to prevent this direct association. Obviously, there’s more to all this, including the borrowing from ancient Sumerian texts. Religion was created to dominate, divide, and dumb down people. It still does. Spirituality, on the other hand, is the exact opposite. Martin, the Bible was put together from scraps of writings carried for centuries by faithful Christians who faced daunting terror at every turn, the truth of Christmas has alway caused Satan wrath as Christ, God made flesh, was the death of humans, instead of allowing humans to die a final death as Satan and the demons will, humans will live, because Mary said yes to the Angel and Jesus Christ allowed himself to be tortured and murdered for all humanity whereupon he rose from the dead bringing eternal life to those in the tombs….he walked among men for 40 more days and taught his disciples more….things like that I’m sure they’ve tried to conceal, but I’m certain that leaving things out isn’t going to negate what’s in the Holy Bible, very pious and holy men learned scholars arranged the texts, and while there may have been snakes among them what we have now is surely guided by God, do you think there is a thing God can’t do? An all loving knowing God created us as we are, and gave us all freewill. Those who’ve been deceived still have the ability to seek God in their hearts just as the Hebrews did of all humans on earth….God’s perfect plan is that each heart can choose. So the Illuminati MK Ultra controlled soldiers are going to overthrow the Illuminati world governments they must be Irish NO DEPRMENT TO THE IRISH just a figure of speech. I think someone is trying to piss down our leg and telling us it’s raining, come people wake up and smell the roses. For one to say the bible is 100% true, they have not done their research. It would seem that they have barely done any. This site has just lost great credibility, with the stroke of a pen. I can write a bible. You can. Bible simply translated means “books” or “little books”. The books are then put together by those who are in charge. Presto-chango.. a book, like many others. They stamped “holy” on it and people think it was printed in the heavens and delivered to us by rainbow colored unicorns. By the way, unicorns have more validity than the bible being in any sentence w/ truth, other than their cryptic words. And all of the aliens are demons? Really, every single one of them? Don’t they have capabilities to thinking and changing their minds? Just like us. I can choose to do good to others or to do bad and steal and hurt. It is within my will and decision making. With all of the alien tech, they have no brains to make choices? So all humans are bad too bec. other species can see we are a waring race and hurt eachother. Of course it is governments.. not really the people. But you say all beings are just a hive mind, nothing more, nothing less. There are good and bad Christians. Good and bad whites, blacks, reds. You are probably a star seed, so what does that make you? Everything is choice Neo! Are you afraid to research the history of the bible? We’re not allowed to ask questions? How easy for people to control others. Well said and thought .hear the stardust fall from the lips of the singer!beyond the edge of the bell,where note is heard.not in the crowed chamber,chaos and potential only exist in bell chamber.each one a singer,we are harmonic beings longevity withheld. Sorry, to call aliens demonic is not acceptable to me. It means you don’t believe that there are other, more advanced races in this Multiverse. And I do believe that we shall soon meet them. There are good and evil alien races just as there are good and evil people. You are right in saying that they will NOT save us, but nor will Jesus (Sananda), we have to save us from ourselves. I am a Christian who believes in God but I also believe that there are benevolent alien races, so does that mean that I am possessed by demons? I very much doubt it. If you think that by “accepting” Jesus, everything will just be hunky dory, then you are very much mistaken. Unfortunately your belief system does not correspond to mine and hence I am no longer I interested in receiving any of your misguided information. The Bible is 100% true? I read five hours of every day on average anything I can get my hands on to hone my bullish-t radar and to undo my decades of programming at the educational institutions I attended. By the time I got to reading The Book of Enoch and The Nag Hammadi Library, I couldn’t be more flabbergasted. Some people have the gift of gab, but we cannot ignore knowledge and discernment. The bible was manipulated by rulers who wanted to have control over the populous. I don’t believe the Creator is a jealous god or the god of the old testament. I believe that Father/Mother God is pure Intellect and Love. We are pieces of that. That is inside of all of us. So let’s use our Intellect and Love; when you find it inside you, you have found God and co-create with him/her. The bible is partially true and untrue so which parts? I take the bible as simply a good read. Come back to Jesus? You’re missing the big picture here. As soon as I read “The bible is 100% truth” …..well, ’nuff said. Those who have gone through MK-ULTRA are very annoyed by functional orgonites. If they get close to a working one they become really agitated. It’s usually them who flood forums and blogs and write against orgonite making. The Monarch Project is a continuation of MK-ULTRA. Some survivors of the Monarch program wear a ring with a blue topaz. 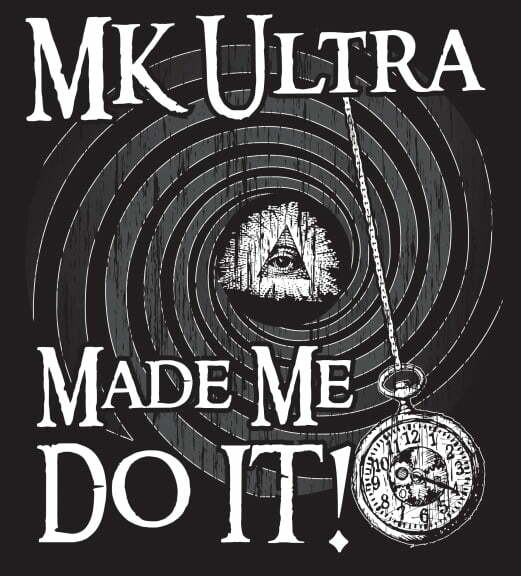 MK Ultra soldiers have defected to be on the side of God and will easily defeat the devil’s soldiers because they are on the side of righteousness. This battle will take place in the center of earth and none of you mortal men will ever even know the battle transpired. Life on earth will go on as before and none of you will be aware. This is the Third Secret of Fatima. She is still mind controlled. I am really sorry, but you just made me wanna stop coming back to this site altogether… The bible is not 100 % truth.. How could an all loving omnipresent God make you sacrifice another living being- human or not- for “him”.. Just does not make sense at all, and taking into consideration all the adjustments and texts withheld/taken out of the bible hundreds of years after Jesus, by empirical entities I cannot agree with this. But this is only my opinion and that is yours. it is up to each one to use their own discernment. Martin, just like the bible is not 100% true so other people’s limited perspectives. Like you said, using our own discernment is how we eventually get to the whole truth. So tell me, you claim the bible is 100% truth. So, i will entertain this for a moment. Why has the bible, since the King James 5th bible alone. It has been changed deliberately 20,000 plus times. So how can it be the word of god. As it is just the word of man. Another point, why do ALL Christians when about to pray, why do they ALWAYS make the sign of the cross upside down?